Video game sequels often fix the problems of their predecessors thanks to, among other things, the iterative advancements of technology. That’s on top of the fact that making creative work in the gaming medium is still an exercise in being an artistic pioneer. So you at least hope that the people making sequels know what their last game did wrong. This was a week to wonder if the folks making Halo did. “We took some digs for storytelling in Halo 5, but they were absolutely merited… We very much realized that people wanted Master Chief’s story of Halo 5. You play most of Halo 5 as Spartan Locke, the guy featured in the promo art up top and retrofitted into the Halo saga via some new cutscenes added to Halo 2 when that game was remastered for Xbox One. Locke’s quest is dull and the big confrontation between Chief and Locke amounts to a mid-game cutscene, rather than the epic climax that we were expecting. 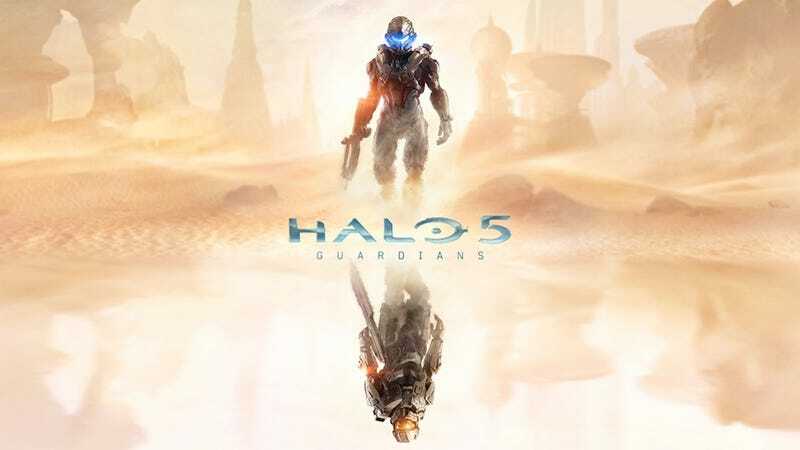 Advertisements for the game have played up the drama of Locke hunting down a rogue Master Chief, but their rivalry is undercooked, their confrontation anticlimactic. The theme of a possibly rogue Master Chief was used far more effectively in the first season of the Halo 5 promotional podcast Hunt The Truth, which has a separate plot from the game. Just look at this Halo 5 commercial. It must be for a really cool game, huh? Marketing sometimes gets ahead of a game, and the game that is being over-hyped usually pays the prices. Purchasers of Assassin’s Creed III know this, too (and this is coming from someone who likes that game!). But had 343 delivered the game the Halo 5 ads teased—Chief running for his life, maybe turned bad, Locke facing him down in an epic clash of super-soldiers—then 343 reps probably wouldn’t be doing interviews in 2017 where they needed to explain what went wrong. I’d normally just shrug my shoulders at something like this and move on, but O’Connor’s comments about addressing Halo 5’s campaign issues by going more heavily with Chief in the future didn’t just suggest a misdiagnosis of a surprisingly flawed game but pointed to the continued hazard of sameness that so many of Microsoft’s franchises are having, where the Halos and Gears of Wars and Forzas feel like so much of the same thing year after year and the spark of the new just isn’t shining enough. Now, I like where Forza is going, at least when it comes to the really fun Horizon series. And deviating from a series’ main direction is not always the right prescription. See the chilly reception to the Xbox 360’s Gears of War Judgment. But in a year where we’ve seen the Zelda series reinvent itself successfully and in the face of a talented heretofore-single-franchise studio like Guerrilla Games finding new life with Horizon Zero Dawn (after years of nothing but Killzone), something about 343 dusting themselves off and committing to making a new Halo that really, really focuses on Master Chief inspires me with less confidence than it normally would. Halo game campaigns don’t matter all that much, of course. The multiplayer is what keeps Halo’s heart pumping and I can’t speak to that. That’s probably where they can really make improvements for Halo 6. It’ll also help if Halo 6 doesn’t repeat Warden Eternal boss fights a bunch of times.